and excellent lapidary rough, Deer Creek ranks high on the list of desired collected gemstones, mineral specimens, and lapidary material. 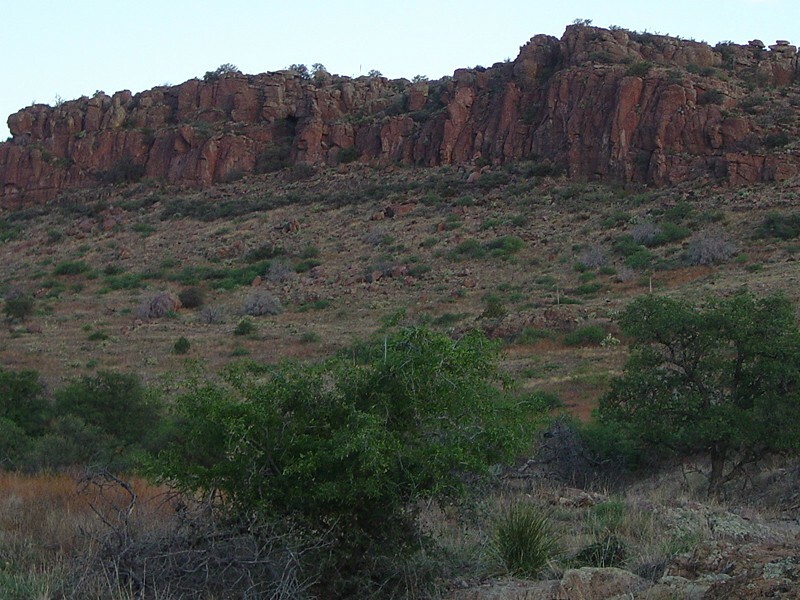 Located in the eastern foothills of the Galiuro Mountains southwest of Safford, Arizona, this area has several active fire agate mining claims. Some of the early pioneers in fire agate mining at Deer Creek were Larry Gray, Howard Imboden, Guy Paul, and Cliff Willis. include Warren Hughes, Don Van Dusen, Gene Columbo and Leon Dee Hughes. Leon Hughes made a publication called 'Prospecting For And Instructions On How To Finish Fire Agate Gems', which we proudly host since Leon's passing with permission from his estate. This interesting book contains a great wealth of fire agate related information. Current day mining activities are performed by Dave Penney (see 'Fire Agate Mining Adventure at Deer Creek' listed below), Arizona State Trust Lands, Private Ranch Land, or are under Arizona State Mineral Lease or Permit. These lands are closed to ANY type of unauthorized mineral and rock collection. Please respect the land rights of private property owners and mining claims holders at all times, as well as respecting all of our public lands for current and future generations.